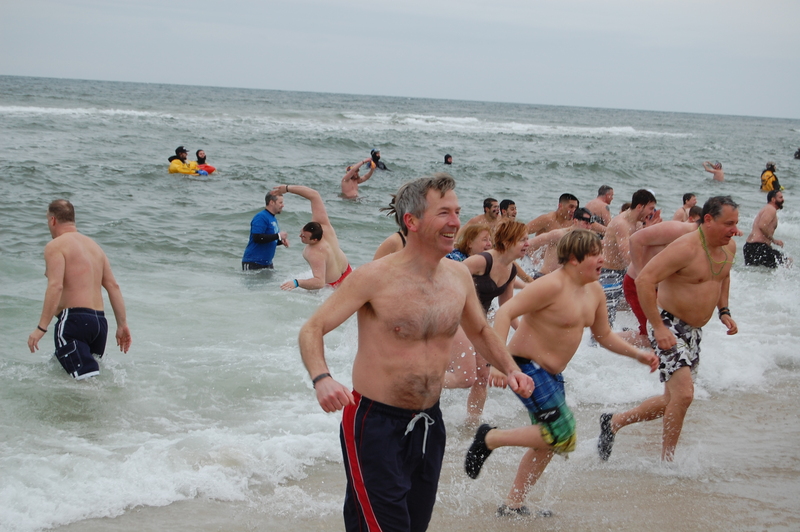 Think winter is a slow time in Seaside Heights? One weekend in February, at least, bucks the trend in a big (and freezing) way. Tens of thousands of participants come out each year to participate in the annual Polar Plunge event, which benefits Special Olympics New Jersey. This year’s event is set for Feb. 25, organizers say. The plunge raises more than a million dollars for the Special Olympics every year, and has also become a cherished tradition and a preview of the hustle and bustle of summer, a few months away. Participants need $25 to register and start fundraising. A minimum of $100 gets you a Plunge sweatshirt and is required to participate in the Plunge. “Keep fundraising to reach different incentive levels!” an announcement said. The $25 registration fee is credited to the ultimate fundraising goal. Online registration will close at midnight on Feb. 21. On-site registration the day of the Plunge will be $125. Teams must have a minimum of 10 plungers by Feb. 21. As usual, the biggest team is expected to be Team Kool Nutz, based out of Captain Hook’s bar. More information can be found on the plunge’s website.